Make a fresh melon cake with watermelon, honeydew or cantaloupe that knocks the socks off anything you’ve ever seen. Chic, tasty and easy, these variations will get you eating fruit all summer. 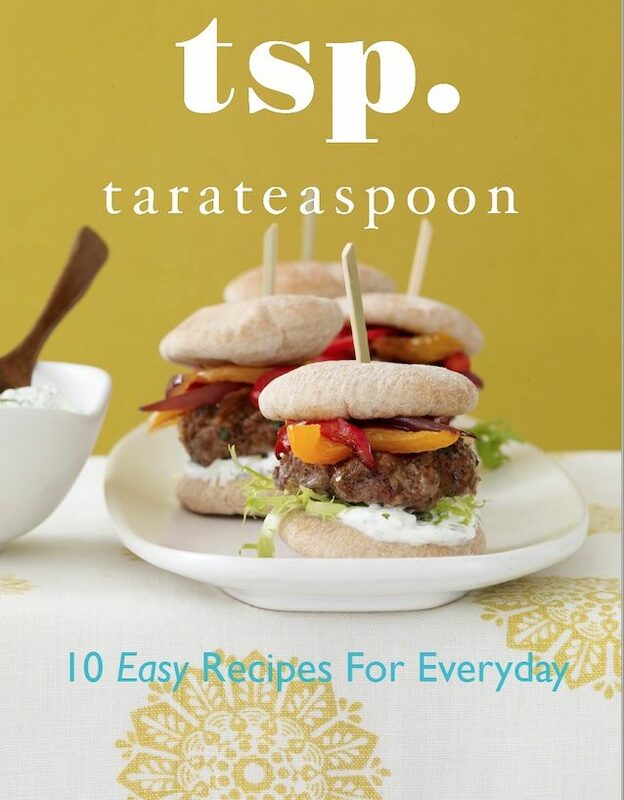 Scroll down to see my Today Show segment on Watermelon Hacks for more summer fun! I wanted to create my own, unique, chic and appetizing melon cakes. You’ve seen all kinds of fresh fruit and watermelon cakes around the last few years I’m sure. I know I have! Mine are simple, tasty and so beautiful they can be summer centerpieces. This post may include affiliate links. Please see my disclosure agreement for details. I didn’t want to slather a beautiful slice of watermelon all over with whipped cream. I wanted my fresh fruit to shine, and be the star of these summer cakes. Made of nothing but fresh fruit and topped with some cream, nuts and coconut, my towering melon cakes are a healthy but impressive treat at any summer event. 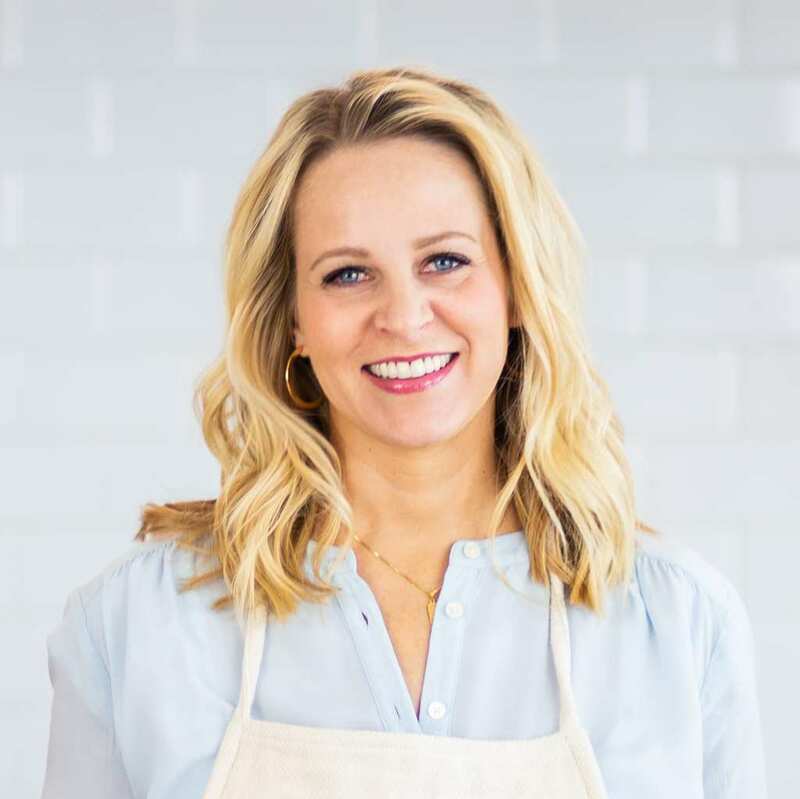 I was so excited to create tiered fruit cakes too! They look so regal and glorious on the table, and so fun to slice into. 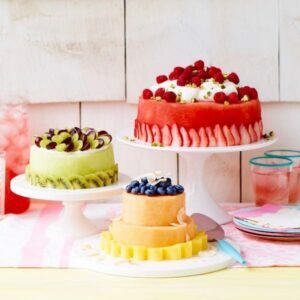 Follow the recipe to make all three fruit cakes, using watermelon, honeydew or cantaloupe! 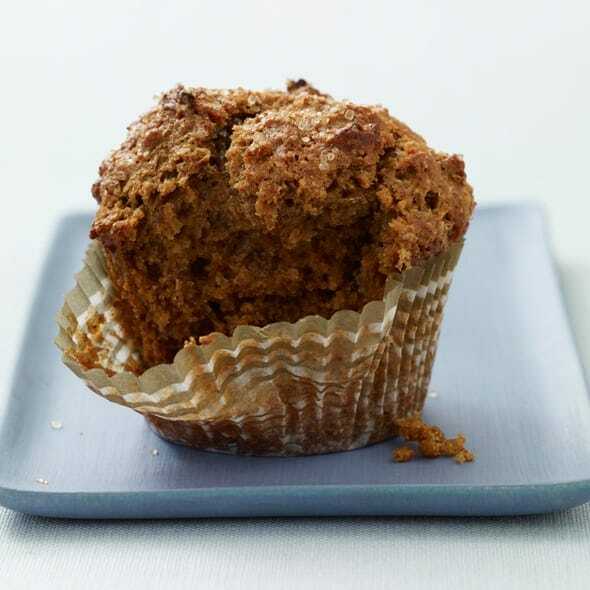 One excellent tip: make these ahead of time, then top with cream just before serving. Simply assemble and wrap in plastic wrap until ready. For my watermelon cake, I sliced a thick piece out of the center of a seedless watermelon and trim the rind off. Make sure to shape it into a perfect round by removing all the white rind. Sliced strawberries make the perfect decor for the bottom of the cake. Lined up in a row, they compliment the color perfectly. There’s no need to do anything more! It’s pure watermelon, ready to slice once topped with cream, some fresh raspberries and chopped pistachios for a little crunch. I sweetened the cream with a bit of sugar. I always use fresh heavy cream and confectioners’ sugar to make my whipped cream. It tastes so glorious. After achieving the right level of elegance with my watermelon cake I simply had to do the same for my other favorite melons – honeydew and cantaloupe. 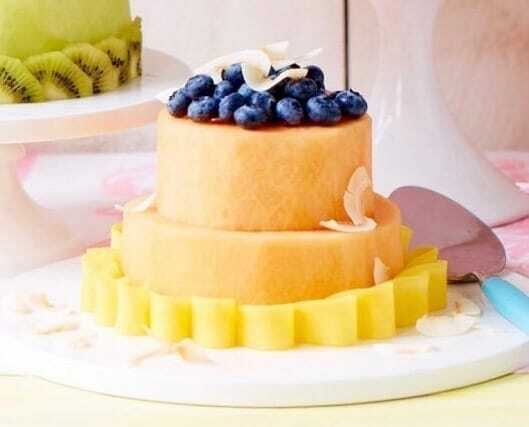 To make this honeydew beauty, cut a thick slice out of the middle just like I did with the watermelon cake. Again, be sure to round out the sides of your cake for that polished look. You can easily scrape the seeds out of the middle. Fill the center hole with extra honeydew or grapes. I wrapped the base in freshly sliced kiwi and stabilized the grapes on top with a thin layer of cream. Aren’t those colors fantastic! I love the visual (and flavorful) appeal of the grapes. They make this honeydew cake blossom. And, of course, I just had to make a tiered melon cake! Nothing says finesse like a tiered cake. Simply adding a tier instantly transforms a fine cake into a sophisticated one and this cantaloupe creation is no exception! Depending on how thick you want your tiers, you may need two cantaloupes. Cut a thick slice from the middle first and then use the end for the top layer (or the middle of another, smaller cantaloupe). As with the honeydew, scrape the seeds from the middle and fill the centers with extra fruit. The bottom I decorated with thin, folded slices of mango for an extra punch of sweetness. Top this magnificent cake with some blueberries and shaved coconut to finish your fruit masterpiece. 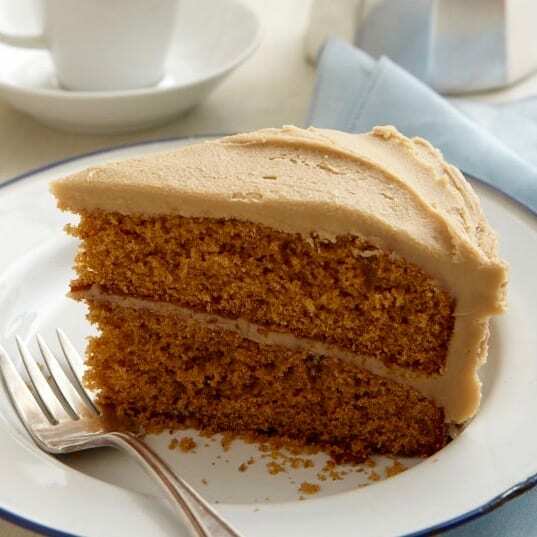 Stunning, effortless and healthy, this cake is the whole package! Forget covering your fruit in cream. Let those beautiful melons steal the show with simple decorations. Fruit cake has never been easier or more glamorous! 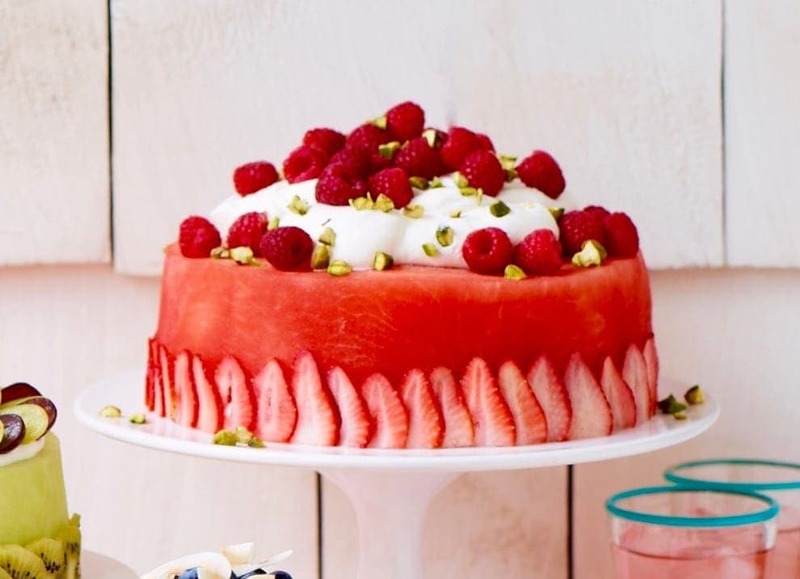 Watermelon cake: Cut a thick 3-inch slice from the center of the melon (to look like a big cake layer). Trim the rind from the slice. Place on a platter. Remove strawberry greens, then thinly slice the fruit. Overlap slices around the base of the watermelon. Whip the cream and sugar to stiff peaks. Spoon cream on top and sprinkle with raspberries and pistachios. 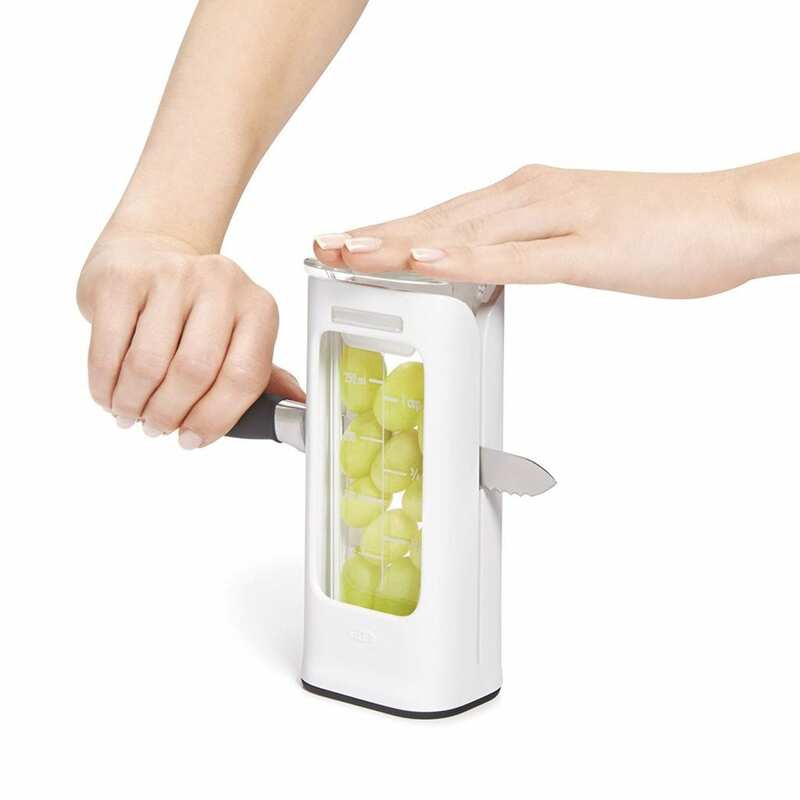 Honeydew cake: Cut a 2½- to 3-inch-thick slice from the center of the melon. Discard seeds and trim rind, making the edges straight. 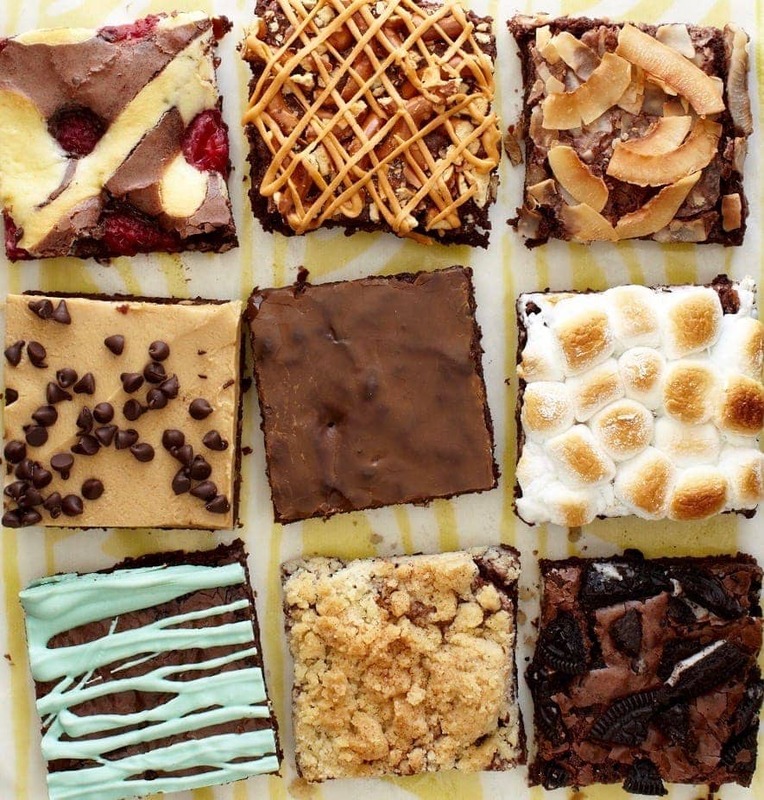 Place piece on a platter. Peel kiwi, slice in half lengthwise and slice into thin half-moons. Layer kiwi along the bottom edge of the melon. Whip the cream and sugar to stiff peaks. Fill center of the melon with extra fruit and cream. Spread a thin layer of cream on the top. Slice grapes in half lengthwise and decorate the top in concentric circles. Cantaloupe cake: If using a large melon, cut a 2½-inch slice from the center and use one of the ends for the smaller top piece. If using 2 small melons, cut thick slices from each melon for the cake. Discard seeds and trim rind, making the edges straight. Stack pieces on a platter. Peel mango and cut one side off the pit. Cut mango cheek into very thin slices and bend in half, layering them along the bottom edge of the cantaloupe. Whip cream and sugar to stiff peaks. Fill the center of the cantaloupe with extra diced fruit and cream. Pile blueberries on top and sprinkle with coconut. 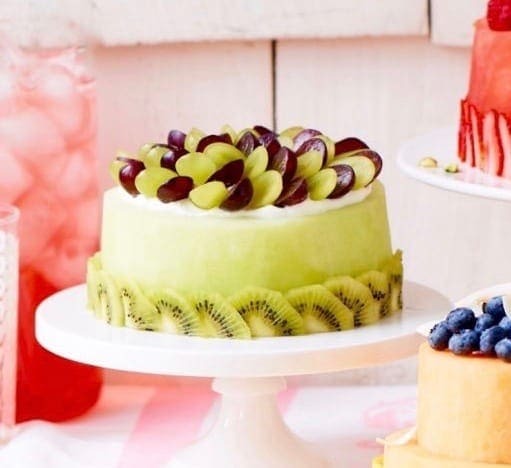 These "cakes" are actually made from pretty summer fruit. Just slice and serve. Talk about summer stunners. 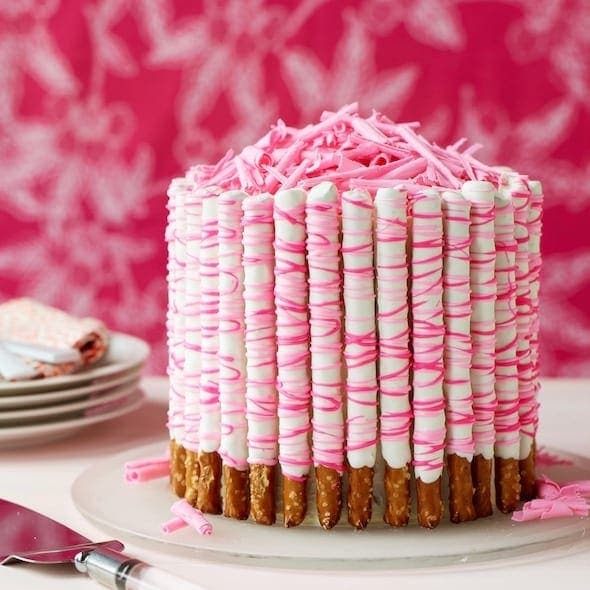 Click over to my other great seasonal recipes including this Pink Pretzel Cake! I love this!!! I used it for corker on a diet for her birthday and everyone was raving about it. I made the watermelon cake.